This state of the art training, integrates the core principles and tenants of East/West Feng Shui tradition and philosophy. It also combines metaphysics, spirituality and universal laws to "raise consciousness and energy" on the planet, so that both people and property come into harmonic alignment and balance with the seen and unseen energies of the universe. This SELF-STUDY certification program was originally produced for architects, builders and REALTORS® to help them design, create and market property better and faster. 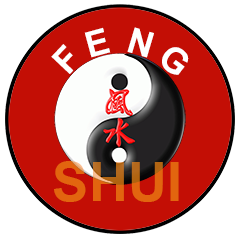 Today INTERNATIONAL FENG SHUI CERTIFICATION is available to anyone wishing to improve and empower their life and career or to .. acquire a new avocation or career in Feng Shui - as a Feng Shui consultant. The course study is "easy and fun" to learn. It is designed to take you from 3D reality into the SUBLIME and DIVINE CREATIVITY that exists in higher realms of ENERGY. "WHERE THERE IS NO VISION, PEOPLE PERISH"
We will also show you how to LIVE YOUR LIFE TO YOUR FULLEST POTENTIAL with PASSION and PURPOSE, while helping you IMPROVE your health, your lifestyle, career, and how to INCREASE your INCOME and SAVINGS NOW … rather than at some "improbable" time in the future. INTERNATIONAL Feng Shui Certification is designed for busy people who desire PEACE, HARMONIOUS RELATIONS, VIBRANT HEALTH, BALANCE, WEALTH and GOOD FORTUNE in their lives and careers. "If your certification was a car, it would be a LEXUS or MERCEDES! Thank you for your wisdom and knowledge Suzee, I've read many books on Feng Shui but your teaching is over-the-top fantastic! I'm thrilled and humbled to be helping people fulfill their dreams, thanks to you." With INTERNATIONAL Feng Shui Certification – YOU will learn how to IDENTIFY good lots, locations, floor plans, rooms and properties that "energetically" support you, your loved ones and clients. We will also teach you how to create BALANCE with proper Feng Shui décor and placement, and how to integrate the ‘'visible and invisible'' forces of NATURE while capitalizing on the energy of the EIGHT "classical" elements of Feng Shui. "My first experience with Feng Shui was when one of my sellers hired Feng Shui expert Suzee Miller. The home had been on the market for 150 days with 3 price reductions. After Suzee spent 2 hours doing Feng Shui we sold it on Open House, 3 days later! I can tell you that not all Feng Shui experts are alike. It takes the combination of training, experience, vision, and talent to "see" what Suzee Miller can see, do, and teach in minutes!" Now YOU can learn beginning and advanced Feng Shui at your own pace – in your own space – anytime, anywhere – 24/7! Step into the world of Timeless INSPIRATION, Boundless CREATIVITY and Infinite JOY using the art and science of Feng Shui to transform homes, offices, commercial buildings, land, lots, real estate listings and lives with Feng Shui Paradigm's INERNATIONAL FENG SHUI CERTIFICATION program. "Thanks for the generosity of your Feng Shui audio programs Suzee. We truly appreciate your gifts and talents. Your work is totally amazing! We are now living blessed lives in countless ways in taking your Feng Shui Certification. God bless you." "Color Your Listings Sold with Feng Shui' works, and it works fast. I Feng Shui ALL my listings now. It's great billboard advertisement for more listings and referral business. I'm SOLD on Feng Shui and I'm SOLD on Suzee Miller!" "I have always enjoyed listening to your Feng Shui seminars. They are logical, practical and very, very true. Most of all, following them allows us to develop the more positive side of our nature. Thank you and more power to you." "Thanks for all the Feng Shui remedies and advise Suzee. Your certification course has already exploded my business! You are the BEST! " "There is no way to begin to thank you for the success and wealth my partner and I have amassed since honoring our power directions and learning your Feng Shui Certification. We are deeply grateful to you Suzee, beyond ‘just' words." "I am enjoying your Feng Shui Certification Course more than you can imagine! Being Certified has already changed my life and career in amazing ways!" "I just double-ended a property in 3 DAYS using Suzee Miller's Feng Shui sales and marketing techniques. The course and benefits are worth every penny, ten times over!" "I am presently enrolled in Suzee Miller's Feng Shui Certification program and wish I had taken the course sooner! It is very organized and has opened my eyes to integrative Feng Shui. I love knowing that I have the ability to transform energy. Thank you Suzee for sharing your AMAZING knowledge, wisdom and understanding of Feng Shui!" "It was a pleasure meeting you at the FAR/WCR/CRS conference in Miami. You've got me hooked on Feng Shui! I will be doing more research and learning more through all your Feng Shui educational products. Thank you again! Your energy and enthusiasm are contagious!" "Your Feng Shui audio books and audio programs are phenomenal. I am only half way thru them, but already the opportunities that are coming along are just UNIMAGINABLE! Thank you." "Suzee Miller may not be Chinese but I am, and since learning how to Feng Shui my office, I have increased my staff by 20 new people (now 70 employees strong). Also since honoring my power directions at work it has enabled me to work smarter (4 days/wk .. soon to be just 3 days/wk!!) while tripling my company earnings in one year. Thanks to Suzee, my company is now branded a success!" click on the Menu above or click here to return to the CERT home page. © 2002 - 2018 Feng Shui Paradigms. All rights reserved.